Follow me or talk to me on twitter, linkedin or dribble. 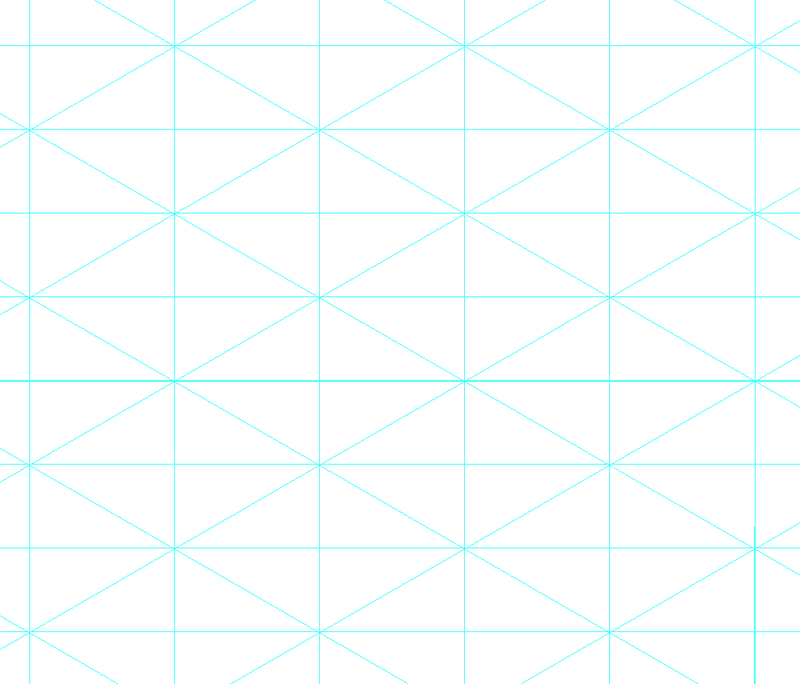 I enjoy playing with isometric grids but I haven’t built anything with one it quite a while. The last project I did in this style is quite a few years old and I couldn’t find my isometric grid. Time to make a new one woohoo! Here is a step-by-step guide on how I made my own. If you don’t want to make your own you can download an eps of the file I’m about to make here. Create a new document that is 5000px x 5000px. (I make it in pixels instead of inches because inches never lines up exactly right. Things are always a tiny bit off). Go to your general preferences (on a mac click on illustrator in the top menu / preferences / general) and set your keyboard increments to 100px". 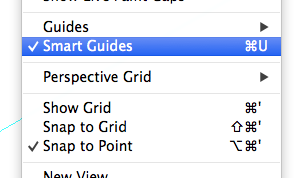 Select the line tool and click anywhere on the artboard. Set the length to 6000px and the angle to 30°. 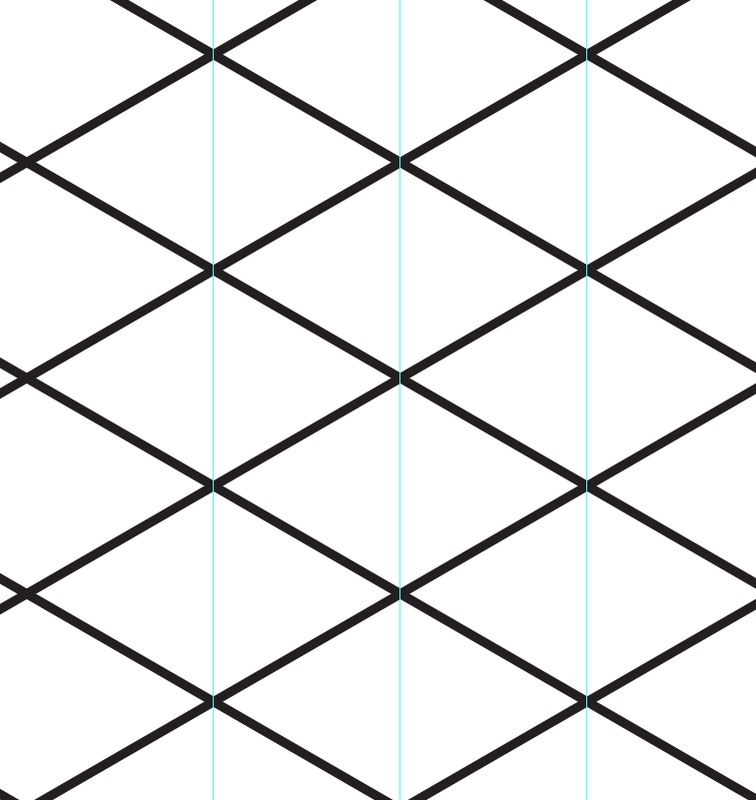 Move that line to somewhere near the middle of the artboard so the edges hang off both the right and left sides a little bit. Select the line. Hold down option (alt on a pc) and push the down arrow on your keyboard. 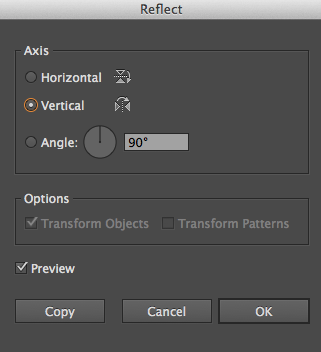 This will duplicate the line and move it down to the 100px increment you previously set. Do this down and then up until the entire artboard is filled with 30° lines. 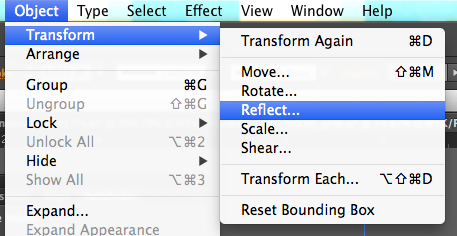 Next select all the lines with command + a (control + a on a pc) and navigate to Object / Transform / Reflect. Set it to reflect on the vertical axis and click on copy. Don’t click on ok as that will flip your lines, by clicking on copy it duplicates the lines and flips the duplicates. We need to turn all the angled lines you made to guide lines. Select everything with command + a and hit command + 5 to turn them into guides (also in View >Guides > Make Guides). Select the line tool and click anywhere on the art board (without dragging). Set the length to 5000px, set the angle to 90° and click ok. Put the line somewhere near the middle of the artboard and zoom in all the way. Make sure you have Snap to Point and Smart Guides turned on (in the View menu. I find it easier to line this up in outline view instead of preview, View / Outline or Command + y (anyone else remember when outline view was the only way to work in illustrator?). 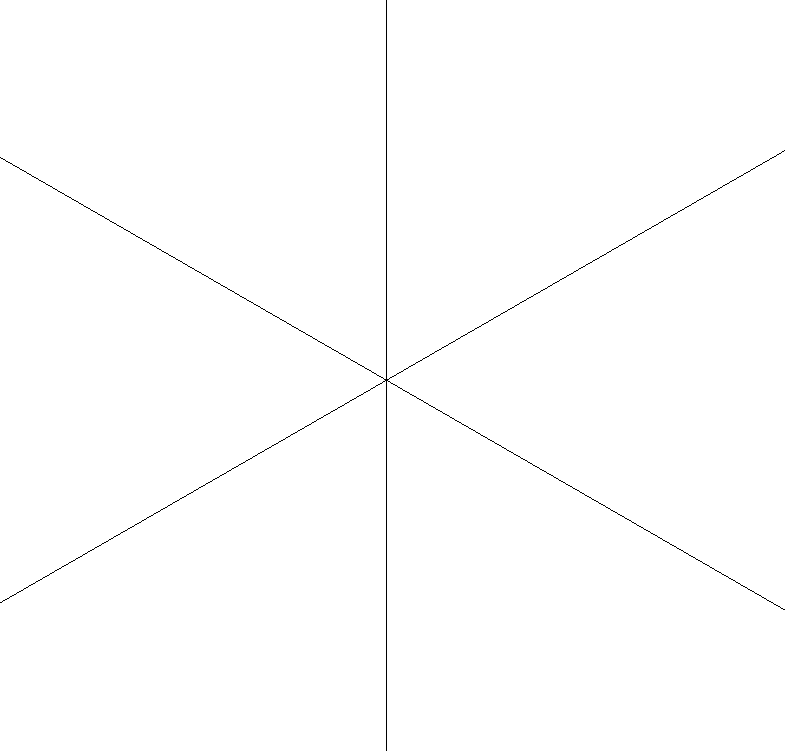 Line up your new vertical line with the intersect points of the 30° lines. Illustrator is strange a lot of times when you’re trying to get things to snap. If you can’t get it to snap perfectly where you want zoom out and try lining it up with some points on another area of the artboard. I had good luck lining it up on the far left side. Hit Command + Y to go back to preview mode. 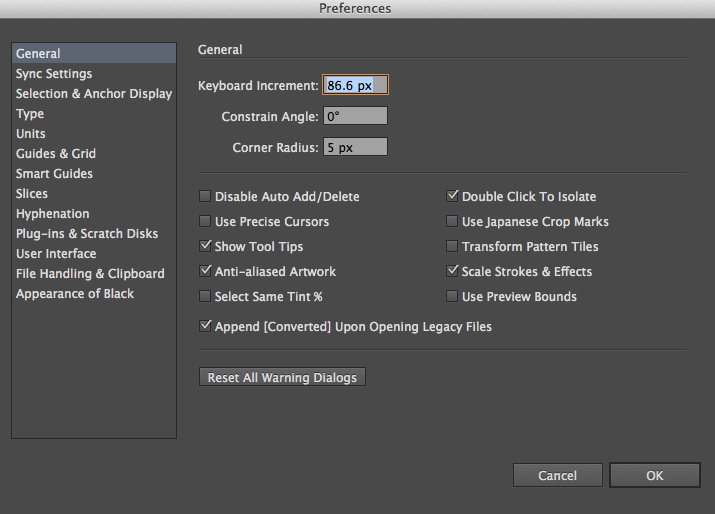 Select the vertical line and hold down option and push the right keyboard arrow to duplicate and move the line. Do this until the entire artboard is covered. Select all (command+a) and convert the new lines to guides (command+5). Now it’s time for the horizontal lines. 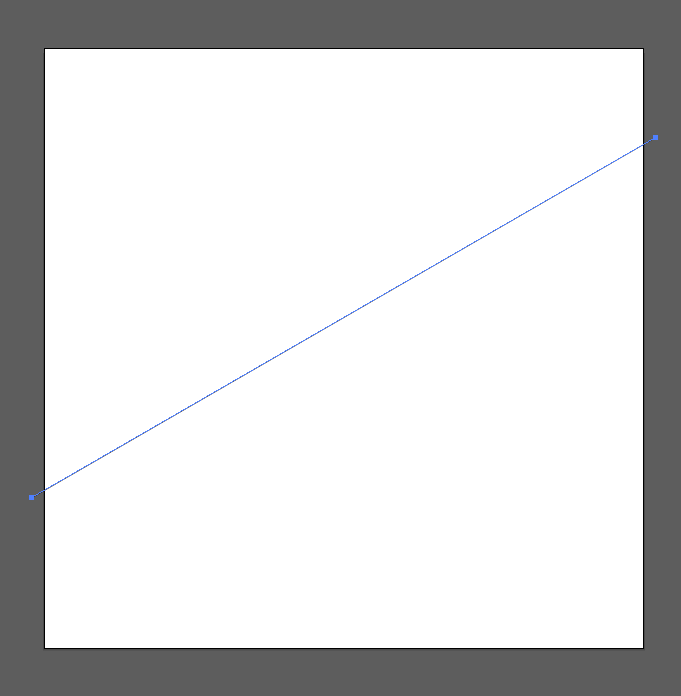 Make a horizontal line about 5100px long and line it up with an intersect of the 30° lines. We need to change the keyboard increments again, this time to 50px. 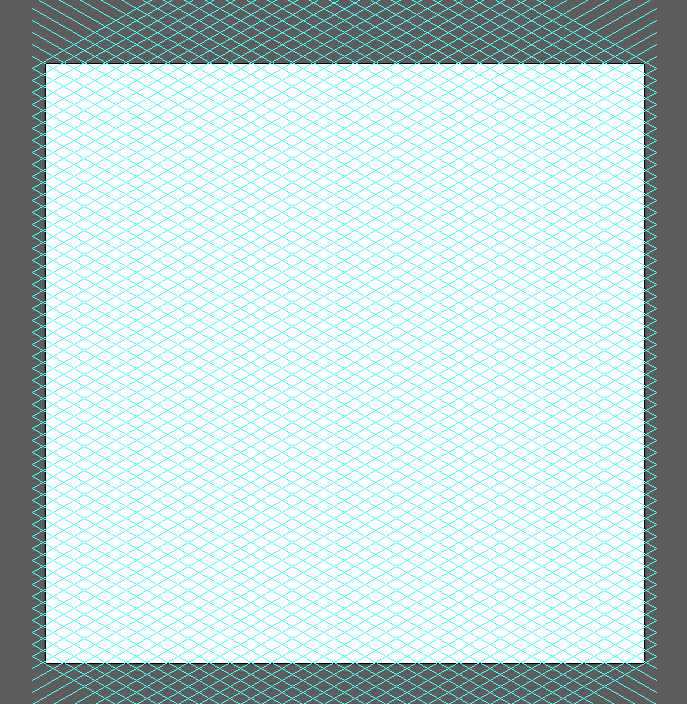 Duplicate the horizontal lines until the artboard is filled (hold down option and click up or down). Now select all (command+a) and turn those lines into guides (command+5). Feel free to download the .eps I just made here for use in whatever you want. Share what you make if you’re proud of it ☺ Follow me or talk to me on twitter.